Sometimes, my housemates and I just want to eat a lot of carbs. Lots and lots of carbs. OK, not just sometimes. Pretty much all of the time. Loaves of Irish soda bread disappeared much faster than expected this week. Cookies don’t last long on the counter–I usually have to take half the batch into the newsroom so that our health-conscious house doesn’t pack on the unwanted pounds. Carbs and sweets are just hard to resist. 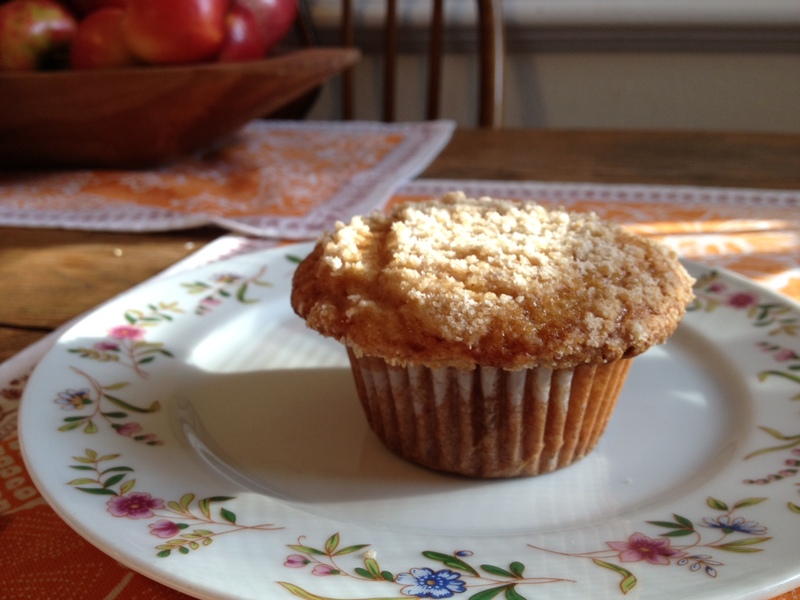 Reviewers online had mixed reactions to these muffins, which are fairly plain with just cinnamon and nutmeg, using some of the dry mixture to form the streusel. It doesn’t seem like bare cupcakes like this are really in demand, when you see all sorts of other flavor combinations. But one housemate and I decided that they were just right. Not too sweet, not too heavy. They had a light crumb, and just enough spice to keep you hooked. I considered halving the recipe, and then wished that I had done so, because it yielded about 18 muffins. Way more than three girls with an already full freezer need. Thus, the newsroom got breakfast on Monday. Find the recipe here, and read what other bakers thought of these muffins here. Your muffin looks like it tastes great! I was not thrilled – they were just OK. Beautiful photo!